NASCAR aims to prevent a repeat of the Auto Club Speedway third-round qualifying fiasco with a tweak to its qualifying rules, beginning with the Texas Motor Speedway race weekend that will culminate in Sunday’s running of the O’Reilly Auto Parts 500 Monster Energy NASCAR Cup Series race. Beginning with the Texas weekend, during qualifying for any of NASCAR’s three national series (Cup, Xfinity and Gander Outdoors Truck), driver/cars advancing to a round of qualifying but not posting a timed lap in that round will start the race in the back. During Cup Series qualifying at Auto Club Speedway in Fontana, Calif., on March 15, none of the 12 drivers who advanced to the third round of qualifying managed a timed lap in that round. NASCAR’s new aerodynamic rules package for track 1.5 miles and larger has resulted in drafting during qualifying at those tracks, and the first drivers onto the track are at a disadvantage during the multi-car qualifying format. The result is drivers playing a waiting game, each wanting to be the last driver out onto the track. 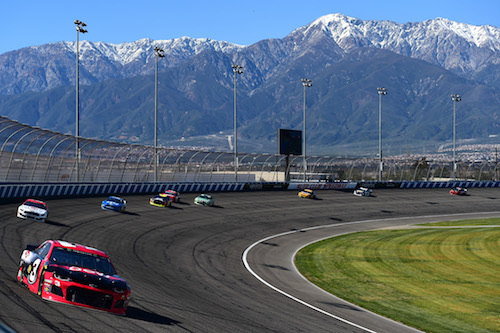 Those 12 drivers still started the Auto Club 400 in the top-12 positions, ordered by their official speeds from the second round of qualifying. A couple of weeks earlier at Las Vegas Motor Speedway, Hendrick Motorsports teammates Chase Elliott and Alex Bowman, advanced to the third round of qualifying but failed to post a third-round lap. As a result, they started the LVMS race 11th and 12th. Under the new rule, when a driver/car doesn’t post a timed lap in any round of qualifying, laps posted by that car/driver in previous rounds of a qualifying session will be disallowed, resulting in that driver/car being moved all the way to the back of the race field for the corresponding race. NASCAR also will move a driver/car to the back for starts of races if it determines that said car/driver blocks other cars/drivers from leaving pit road for the race track to make qualifying runs.